In this article, we will walk you through the use and other basic details about a location release form. 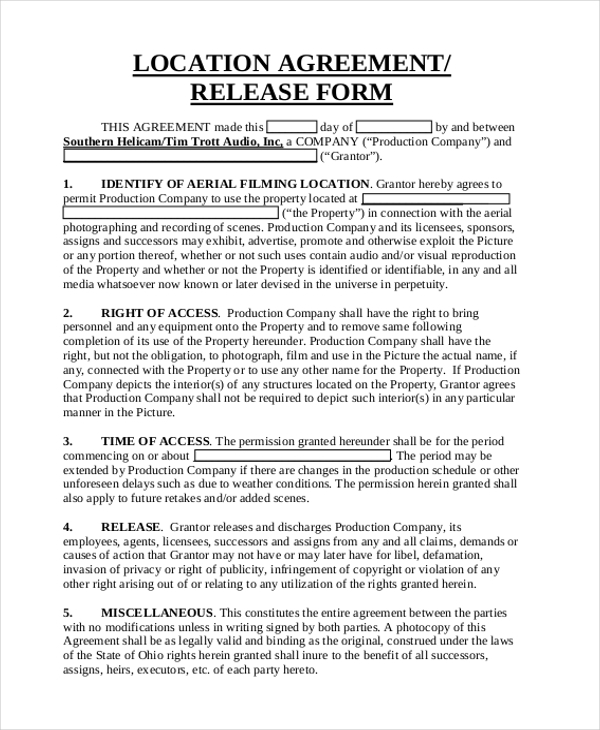 A Release Forms is usually used as an organized and formal way of permission so as to keep a record of it and use it, in case things deviate from the original agreement.So a location release form is to be signed by anyone whose property is being used by a certain person or a group. It can be for filming a video song, or for organizing an event on the location. Have a look at the following examples of such forms. Here is the most basic example of how anyone from a media world would get the permission for the work on a given location. It can be your uncle’s neighbor’s house and the right to use of imageries of the place and its contents. Here is an almost similar release form, just that the content of the form has been made more refined to the situation and with the detailed formal text about the details of the schedule and even payment information. 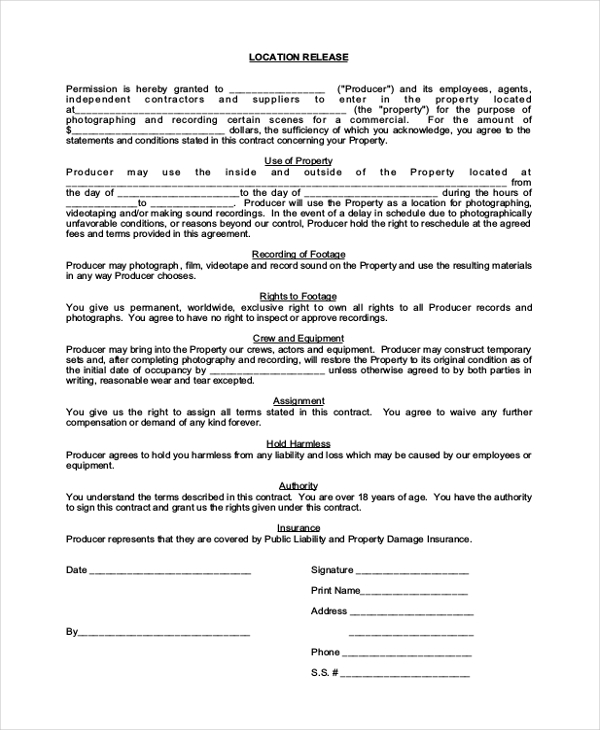 In case you are looking for a sample release form for the small weekend project and you might be working on that, then probably get this form signed with all the details about the property and the property owner. In the case of movies and other projects, you might require extras for various reasons that might be filmed and later even appear in the final edit. And with the extras where there is no signed agreement about the footage, a generic location release form like this one will do the same. 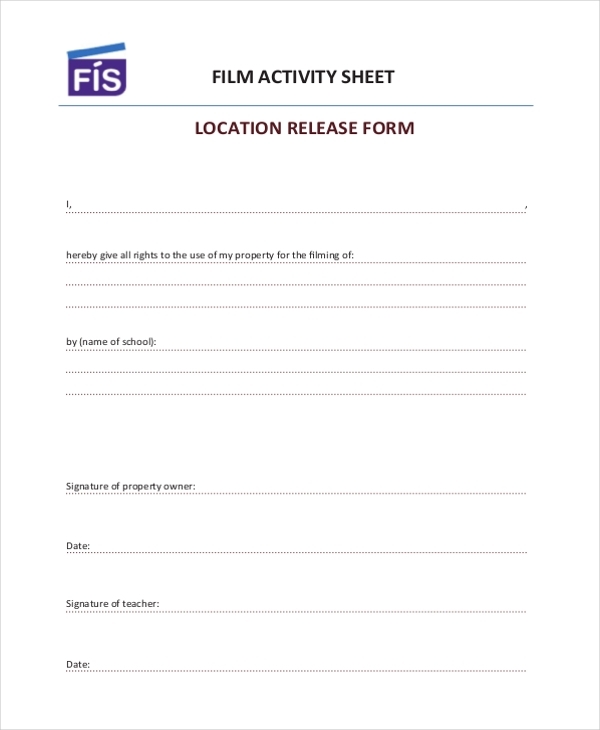 Here is an example of a location release form as created by a student production house. This can be your university movie making club, or just a bunch of friends putting something together. You can provide a copy of this to the institute authority to keep a track of things. This too is a customized location release form that states all the basic agreement clauses along with the signatures that are always a must in case of these forms. Seems like most of the cases for location release form is related to the world of camera and recording. So here is another such example of a release form that you find useful while creating one of your own projects. 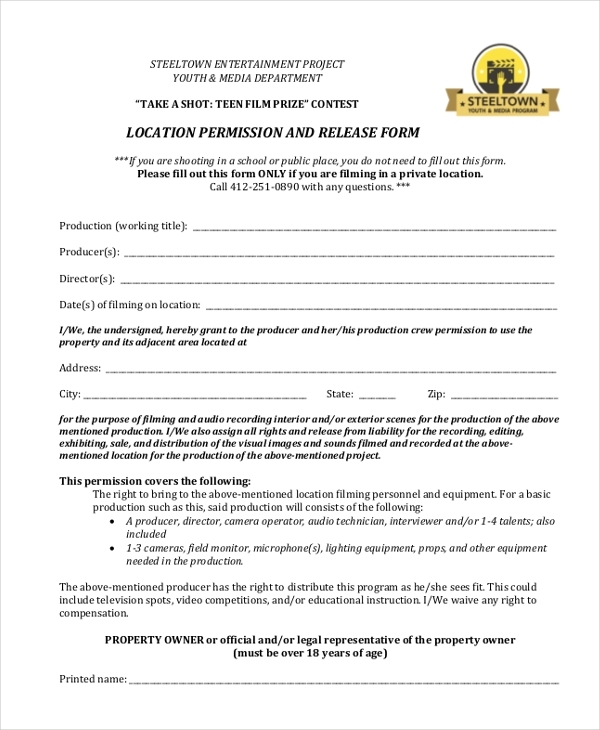 This release form is to be signed by the authorized representative of the school where the moviemakers are going to come and film. 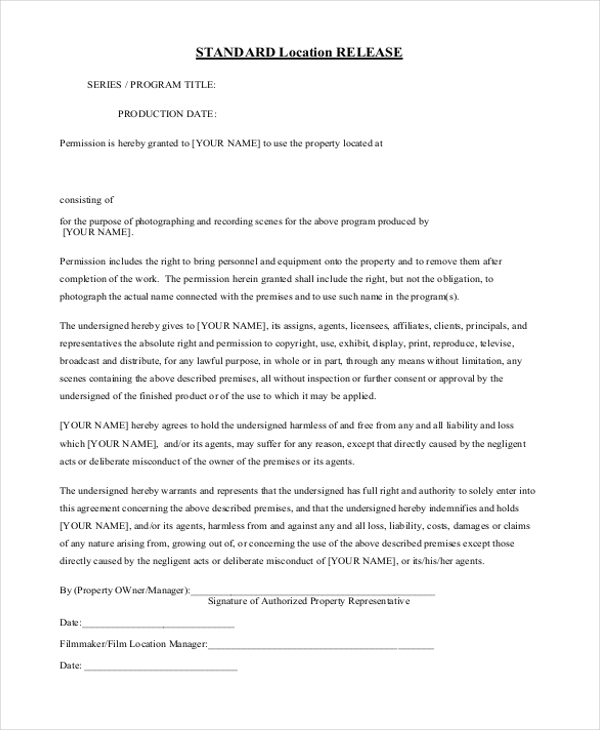 The form says the exact area space where the filmmakers have the permission to shoot. For the correct mapping of the land, property pins and boundaries are located by the employees of a certain government related firm. 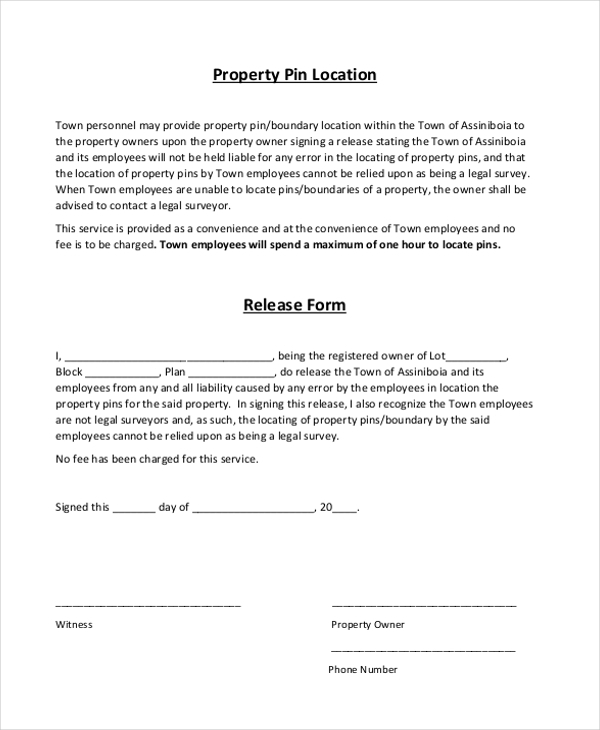 This release form states that in case there is an issue with that, the property owners have to contact a legal surveyor and not blame the employees locating the pins. 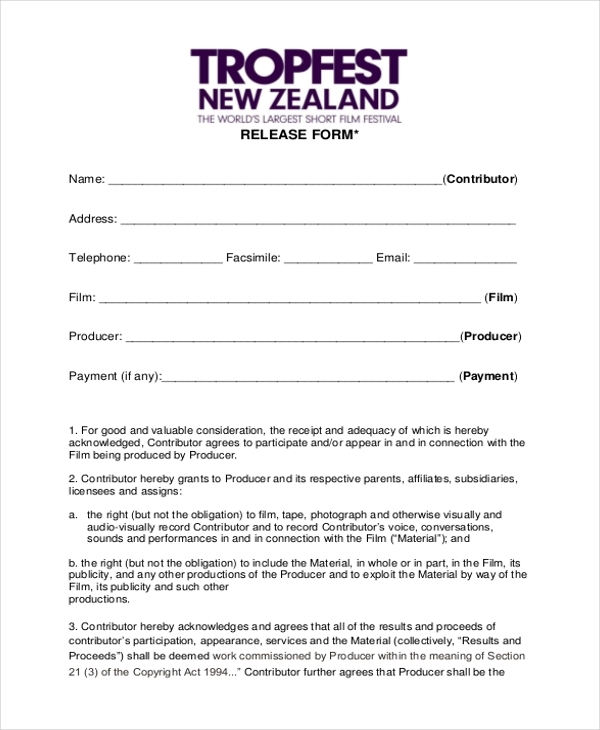 The last one is yet again a film location release form like you have already seen before. But this one is most generic where you fill in most of the details. What is The Use of Location Release Form? Well, whenever you are working on or with someone else’s property. It is important to have their written permission so that it doesn’t come back to bite you later. Such is the case with movies, where it is really important to make sure all the permissions are signed by the respective owners so that they don’t make a possible lawsuit later. You may also see Media Release Forms. The target audience for this kind of release form would definitely be the filmmaking personnel, photographers, event organizers who use the house or hall of someone else to hold the event. A similar form can be used as a talent release form or a media release form, with just the correct text as per the requirement of that release form. You can also see Work Release Forms. You can also have a look at the work release form which is one of the many subcategories of a release form that you can think of. 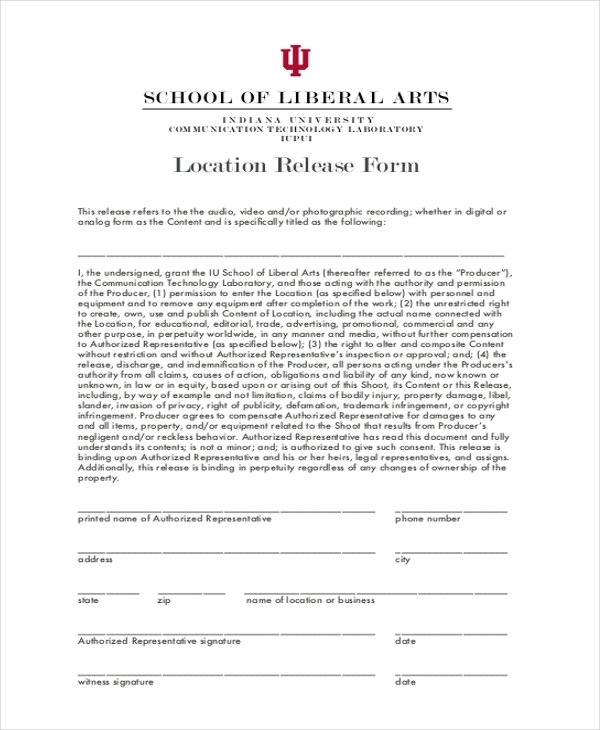 The law does not notarize these release forms but it is still useful and powerful enough with the signature on the agreement by both the parties.